Badlands is a term used to denote what are usually areas that are extensively eroded by wind and water, with many canyons, ravines, and gullies, and other complex geological formations. The term can be taken to mean, “bad lands to cross”. 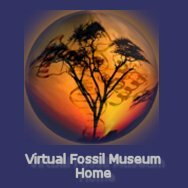 Such lands are commonly the source of rich fossil beds because erosion may rapidly expose fossiliferous sedimentary layers and the fossils that are contained. Numerous fossiliferous badlands formations exist in the United States and Canada. These include Badlands National Park in South Dakota, Makoshika State Park in Montana, Theodore Roosevelt National Park in North Dakota; Toadstool Geologic Park in the Oglala National Grassland of northwestern Nebraska; Dinosaur Provincial Park is and the Royal Tyrrell Museum of Paleontology in Alberta, Canada. The Dinosaur National Monument in Utah is another famous badlands areas. The Badlands of South Dakota, also simply called the Badlands, or the White River Badlands, or the White River Group, is an extensive area within parts of Colorado, Wyoming, Nebraska, in addition to South Dakota. This vast area is famous for its diverse and well preserved mammal fossils that date from the late Eocene to early Oligocene. 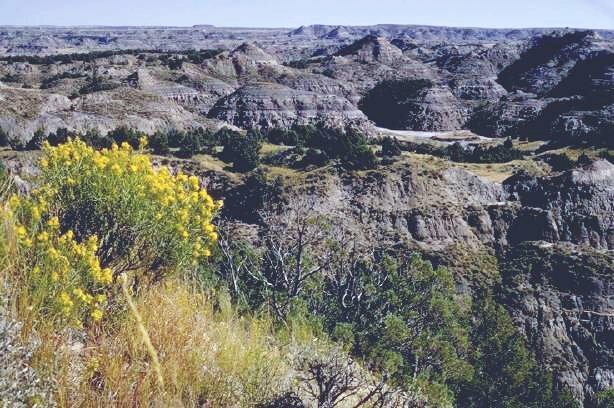 Throughout the late 1800s and continuing today, scientists and institutions from all over the world have benefited from the fossil resources of the White River Badlands. The White River Badlands are internationally famous for having the richest deposits of Oligocene mammals known. The faunal list is huge, and includes rhinoceroses, Hyracodon, Subhyracodon, and Metamynodon; the Tapiroids Colodon and Protapirus; Horses such as Mesohippus and Miohippus; pig relatives with large heads such as Archaeotherium; Horned deer-like Protoceras; the hyaena-toothed carnivore Hyaenodon; the hippopotamus ancestors Aepinacodon and Heptacodon; dog ancestor Hesperocyon; the camel-like Poebrotherium. The area is especially noted for Oreodonts, which scientists believe were distantly related to pigs, hogs, camels, hippopotamuses, the pig-like peccaries, and Palaeolagus rabbit relatives. Of particular interest are the Nimravid cats, sometimes called “False sabre-tooths”, an extinct family of mammalian carnivores that existed at the top of the food chain. Although some Nimravids morphologically resembled the sabre-toothed cats of genus Smilodon, they were not closely related. Rather, they are believed to have evolved a similar form through the process of parallel evolution. Genera include Hoplophoneus, Eusmilus, Dinictis, and Nimravus. The Brule Formation is the uppermost formation in the White River Group. This important fossil formation was named for the Brule Indians that lived in western Nebraska and South Dakota. The Brule Formation is exposed over a vast area of the West, including Nebraska, North and South Dakota, Wyoming, and Colorado, and yields abundant fossils as layers are eroded. Toadstool Geologic Park is located in the Oglala National Grassland in far northwestern Nebraska. Its stratigraphy begins with the oldest Eocene-age Chadron Formation, followed by the Oligocene Brule Formation, and finally the Miocene age rocks of the Arikaree Group. Ichnofossils (trackways) are especially abundant in the Brule Formation, giving scientists insight into the behavior of the Oligocene mammals.